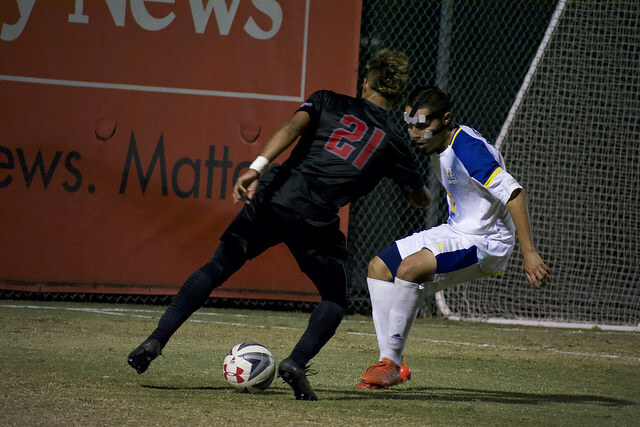 The Matadors lost their second home game of the season, 3-1, against the UNLV Rebels, Thursday night. 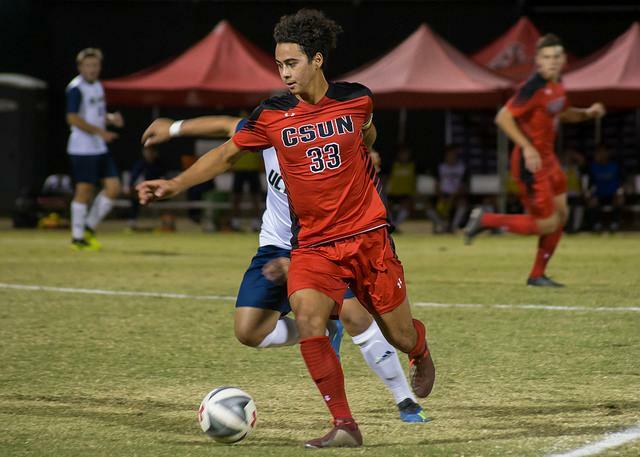 CSUN is still without a win at home but scored their first goal in Northridge this season. Despite the loss, there were many positive moments for the team as they battled for 90 minutes on Matador Field. 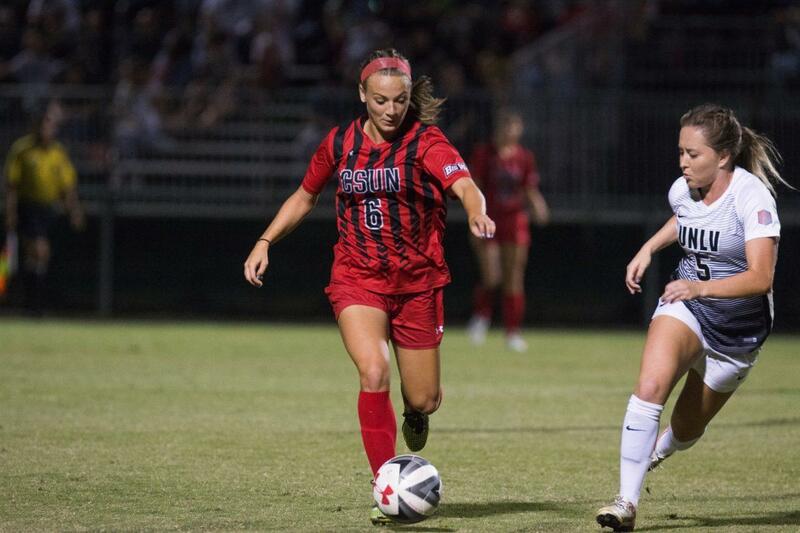 Following a 15-yard strike, that gave the Rebels a single goal lead, CSUN’s Payton Jo Armijo capitalized on a turnover to even the score with a 10-yard bullet of her own to the far right post. The Matadors in the crowd and on the field celebrated the quick response and first goal of the season from the redshirt sophomore with cheers and air horns. 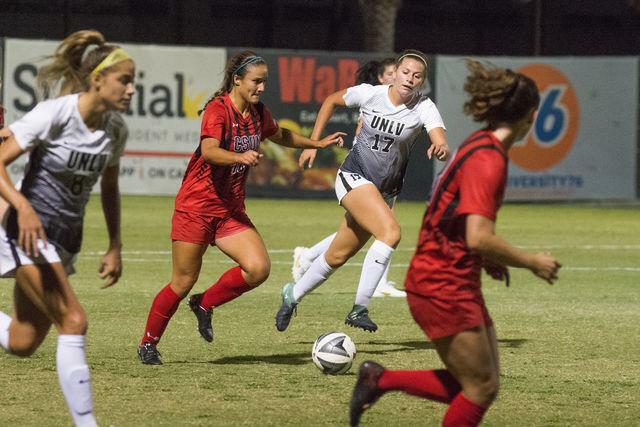 UNLV responded and added two more goals to secure their victory. A third of the way through the first half, a crowded center box resulted in a header off a corner kick finding the back net, and 10 minutes later a misdirected header found its way to an open Rebel who found the far post to cap off their offensive surge. The last two goals scored against freshman goalkeeper Taylor Thames would have been difficult for anyone to prevent. She continues to show her grit and energize the Matadors by diving for balls being chased closely by opponents and going airborne to deflect balls above the top post. 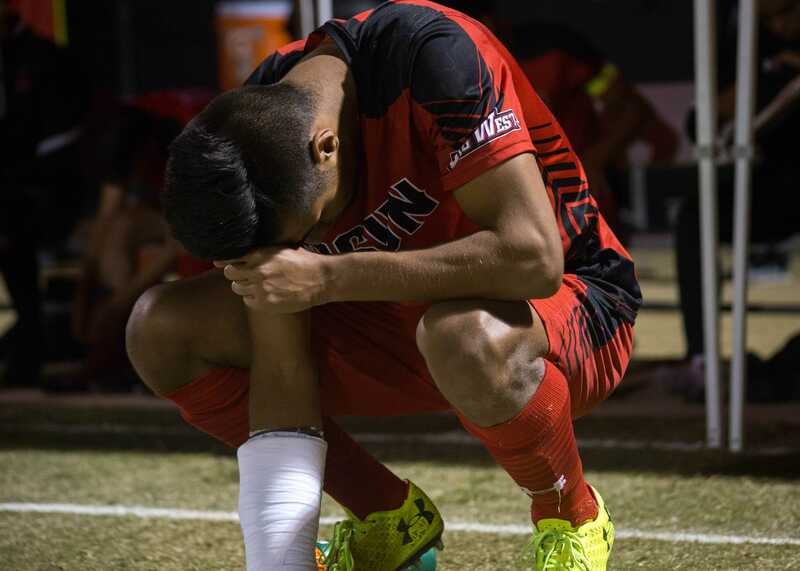 CSUN’s lone goal was immaculate, and there were multiple scoring opportunities that were inches away from a score. 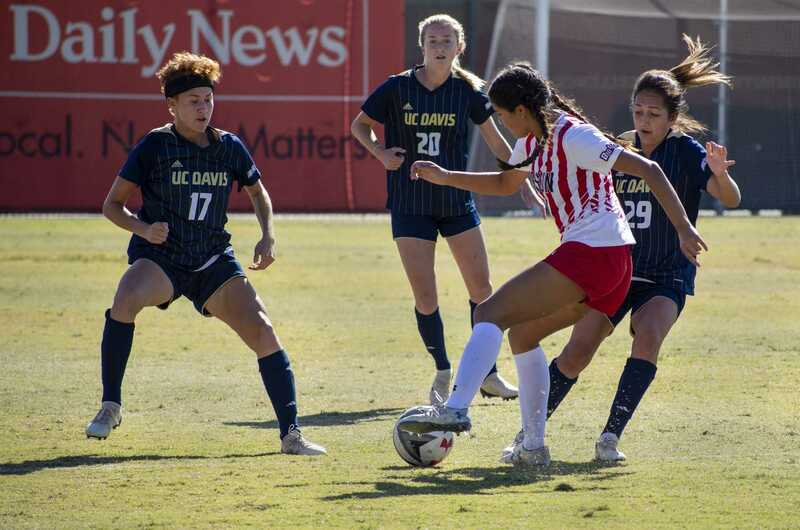 Thirteen shots attempted almost triples the Matador’s total from the home opener last week, and the increased offensive pressure on their home-field led to corners and throw-ins that got more players in the front line involved. Tempers flared and 15 fouls were committed throughout game, but the Matadors did not give up. CSUN Coach Keith West commended his team for their resilience in a difficult game. CSUN’s grit and grind was not enough to earn them a win, but it gave them hope in their ability to move past errors and bounce back on the next play. 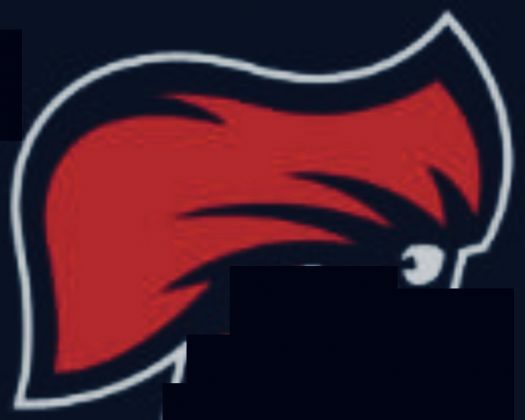 The Matadors will look to get back in the win column on Sunday Sep. 2 when the face Army in Flagstaff Arizona at 11 a.m.